I have put this 20 min Prenatal Morning Yoga Flow together where we will be moving slowly from yoga pose to yoga pose, with full awareness on our breath. I personally repeated these yoga asanas weekly and it made me really enjoy my pregnancy. This pregnancy yoga class is for expectant mothers for all levels and for all trimesters. It can help you to prepare for labour and to bond with your baby, moving carefully from posture to posture. Make sure you move slowly from asana to asana, if you need a rest in between, please take your time and pause the video. Also, I would advise to talk to your midwife / doctor first, before starting with any type of exercise. This yoga routine is NOT recommended for women with complications during their pregnancy. I hope you enjoy this 20 min yoga flow. I am looking forward to your comments below. Thank you for liking, subscribing and sharing! I have put this 20 min yoga video together where we will be strengthening and stretching our body. (Stretching: Never too much as our body is producing the hormone Relaxin, which helps to relax the ligaments in the pelvis and softens and widens the cervix). As I have been experiencing very tight hips and hamstrings, especially during my last trimester, I have included a lot of yoga poses which can help you to release tension in your hips and hamstrings and enjoy your pregnancy. I have put this 20 min Prenatal Gentle Yoga Flow together where we will be strengthening and stretching our body. Especially in my first and third trimester I had to deal with fatigue and that is why I preferred a more gentle yoga routine. This short yoga routine targets the whole body and should make you feel great after! I am very excited to share with you my first 20 min Prenatal Energising Yoga Flow on YouTube. In this new video we will be targeting the back, chest, neck and shoulders. We will be working on building strength and flexibility through deep stretches, heart-openers and backbends. 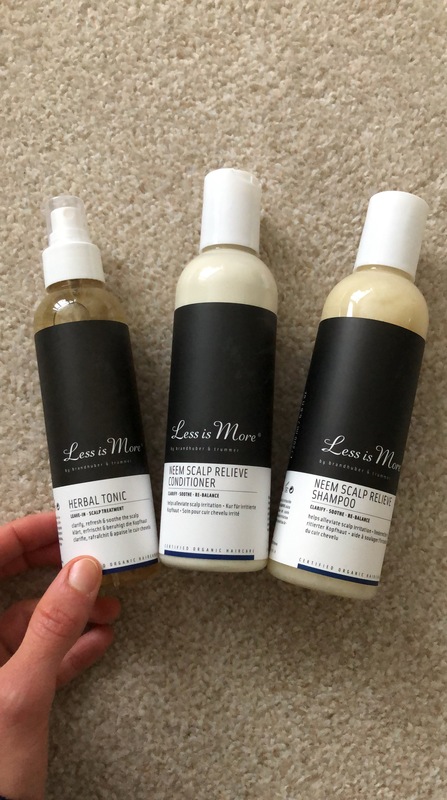 In this review I am talking about organic, sulphate- and paraben-free hair care I have been testing over the last few months, that is why it took me a little bit longer to publish this blog post. I hope you enjoy reading my review. Let me know what your experience is with organic, vegan and cruelty-free hair care. Would you choose the organic option? 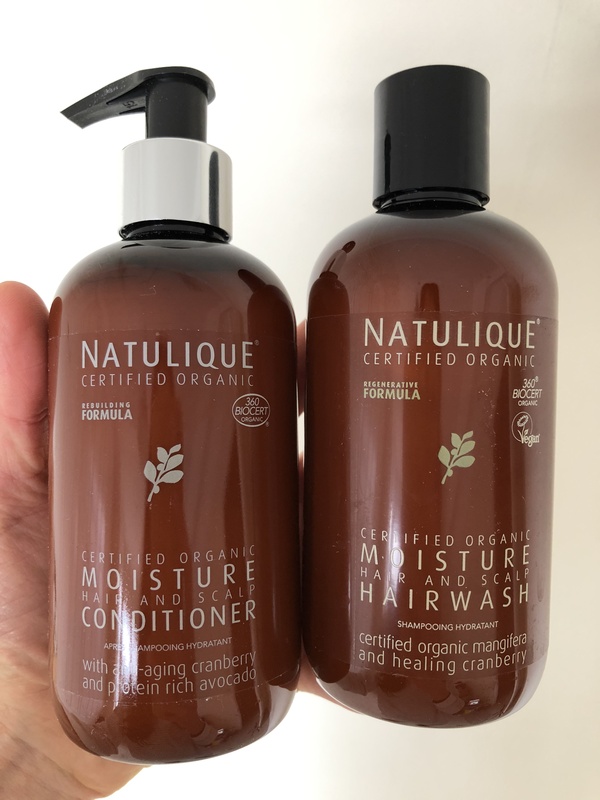 When using the Natulique’s shampoo and conditioner, you can be assured that the ingredients are to 99% from natural origin, no parabens, no added silicone, no artificial colours. 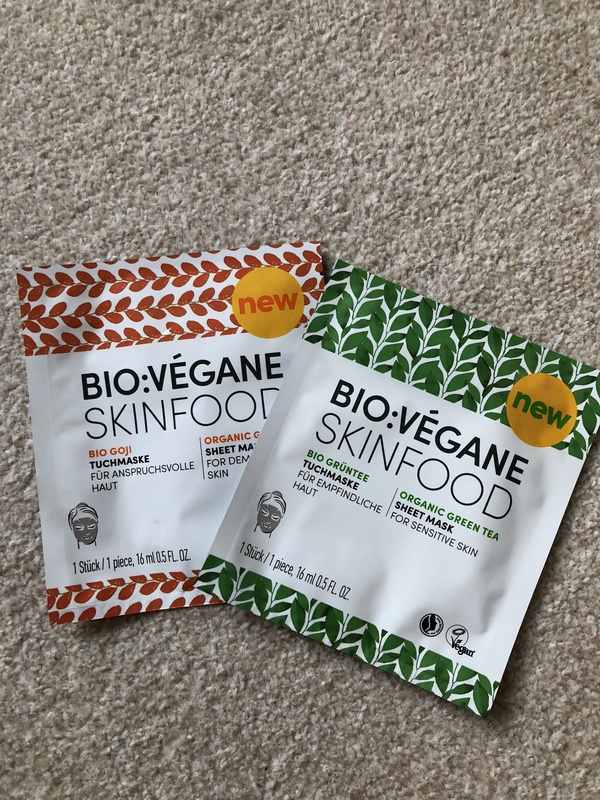 They are certified to be vegan, animal cruelty free, with sustainable packaging and got the certification 360 Biocert Organic. When using the shampoo on my hair I had to use the shampoo twice to get a bit more foam. Same for the conditioner, I had to use quite a bit as it seems like it disappears in my hair. Both shampoo and conditioner smell beautiful and leave the hair super soft, nourished and with a nice smell. The Less Is More products are sulfate-free, helping to clarify the scalp. They are specifically targeted to soothe irritated scalps like dandruff or itchy scalps. I absolutely love the spa-like natural scents. They use 100% certified organic essences made of tea tree, rosemary and rose. These products are certified to be 100% organic, vegan and cruelty-free. Same with the Natulique products, you have to use quite a bit to get that foamy texture when washing your hair. Your hair will get a gentle wash and smelling fresh. 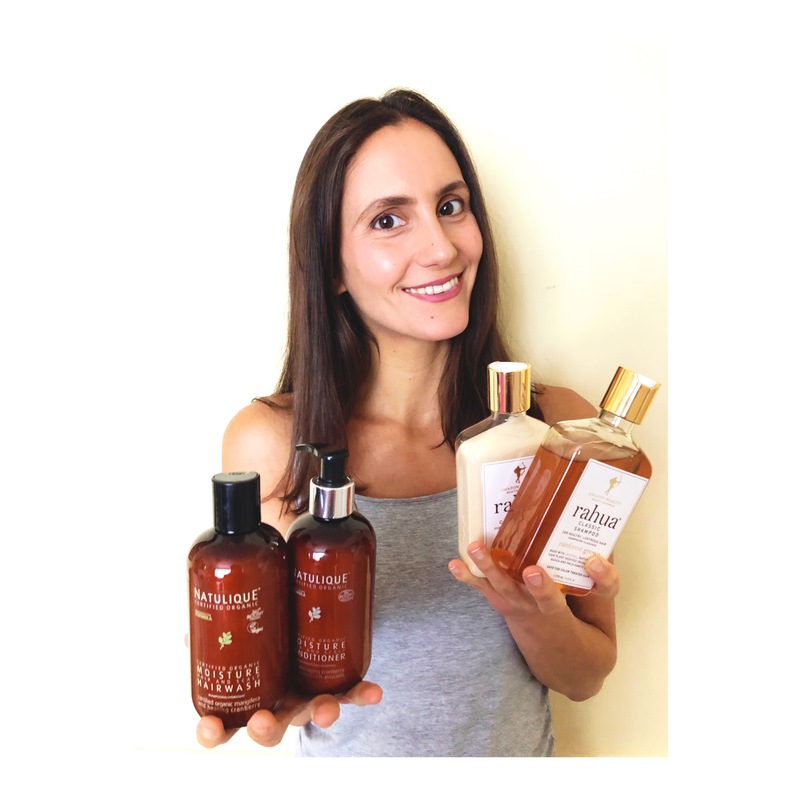 The Rahua products are one of the luxurious hair care products I have tried out. Not only because of its high price, but also once you use the product, you’ll understand where I am coming from. You only need to use a tiny bit of the shampoo and conditioner to get that foamy texture. Your hair will feel moisturized. I was struggling a bit combing my hair after using the products, but nevertheless I was fascinated by this beautiful smell of Palo Santo. 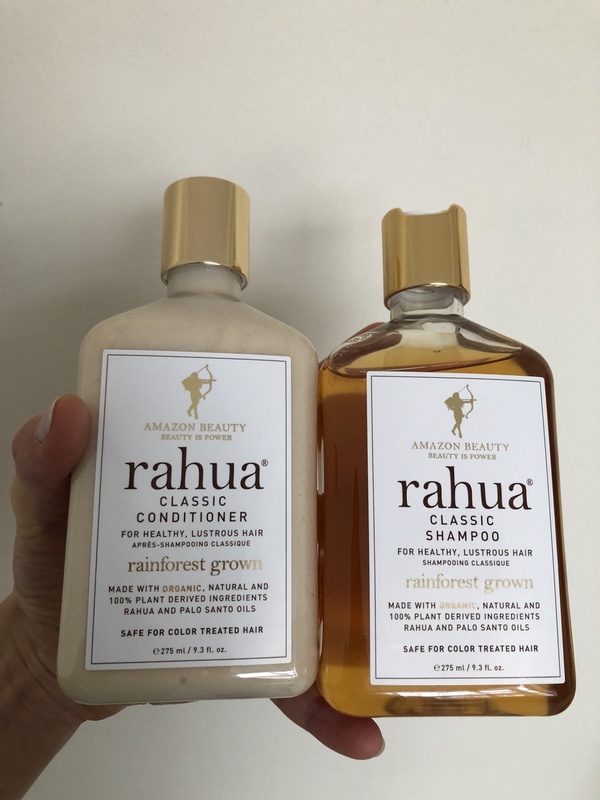 My hair was super shiny and silky after using Rahua. Morroccanoil’s hair care is well-known in the hair dressers salons with its main ingredient, the argan oil. Their range includes paraben- and sulphate-free shampoos and conditioners for different hair types. When applying only a little bit of shampoo or conditioner you already get that nice foam, you will immediately feel that your hair is getting cleansed, nourished and shiny. 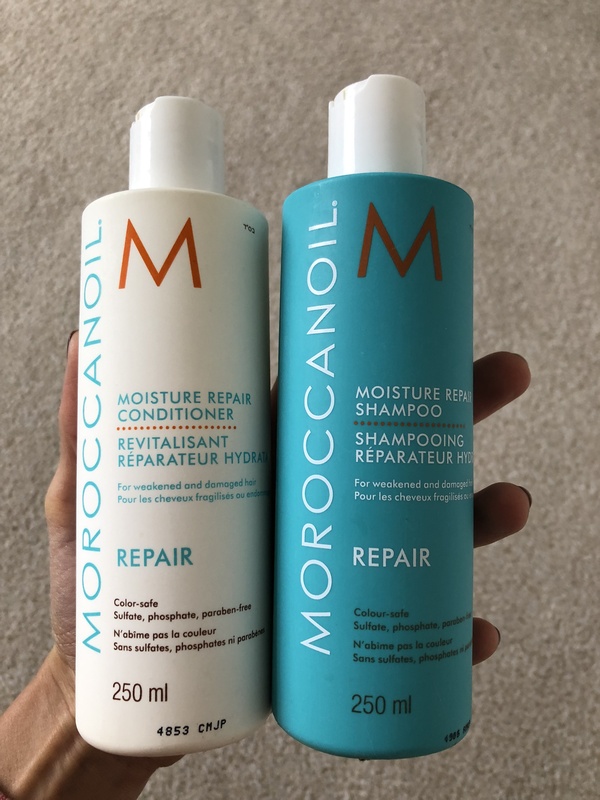 My hair was very easy to comb after using the Morroccanoil products. I have tested Freshly Cosmetics hair mask. It says it is silicon-free, but I could not find any certifications who prove that the ingredients are to 100% made of natural origin. 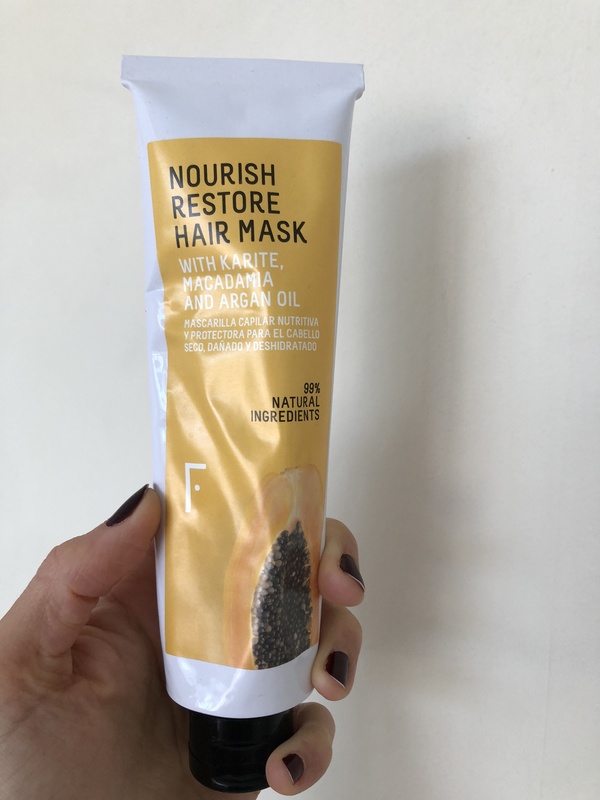 This hair mask includes 7 non-greasy, high quality vegetable oils, which help to nourish the hair. Some of the ingredients are organic argan, macadamia, extra virgin chia, musk rose, almond and avocado oils. I love the smell of this hair mask, which is citrusy with exotic hints of papaya, orange, bergamot and lemon. 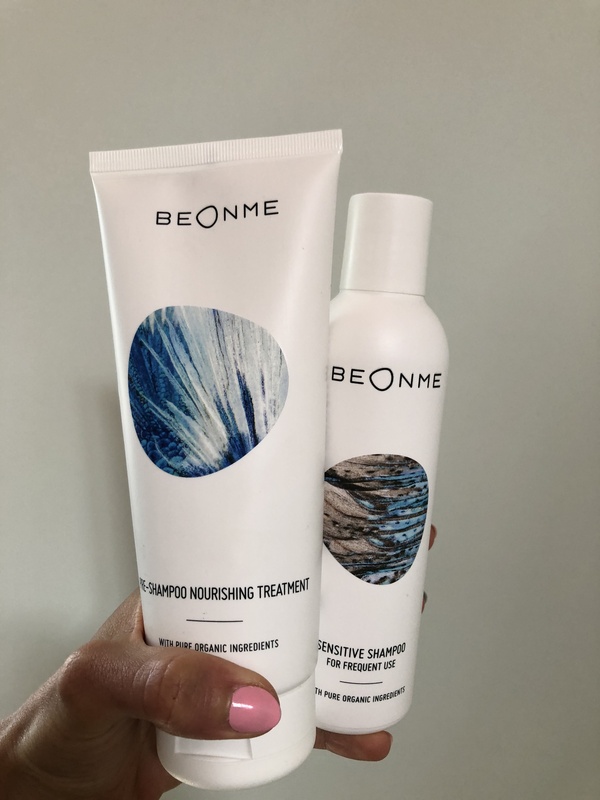 The BeOnMe range I have tested is specifically for sensitive hair and scalp. The products include wheat proteins which help to nourish and hydrate the hair. The first time ever I have used a Pre-Shampoo and I am absolutely in love with it. It basically has the same effect like a really good conditioner, deep nourishing. My hair felt so soft after the pre-shampoo and it was so easy to comb my hair. The products have a fairly neutral smell to it. BeOnMe guarantees to be 100% vegan and cruelty-free. The products are certified by ECOCERT Greenlife according to Ecocert Standard, proving that the ingredients contain natural ingredients. The Organic Pharmacy is well-known for using pharmaceutical-grade organic herbal extracts. It says they use organic, natural ingredients, but there is no prove of any certifications for being 100% organic. The products have a strong jasmine smell, so if you are not into jasmine, that might be the wrong choice for you. Now to sum it up, it really depends on what you are looking for. 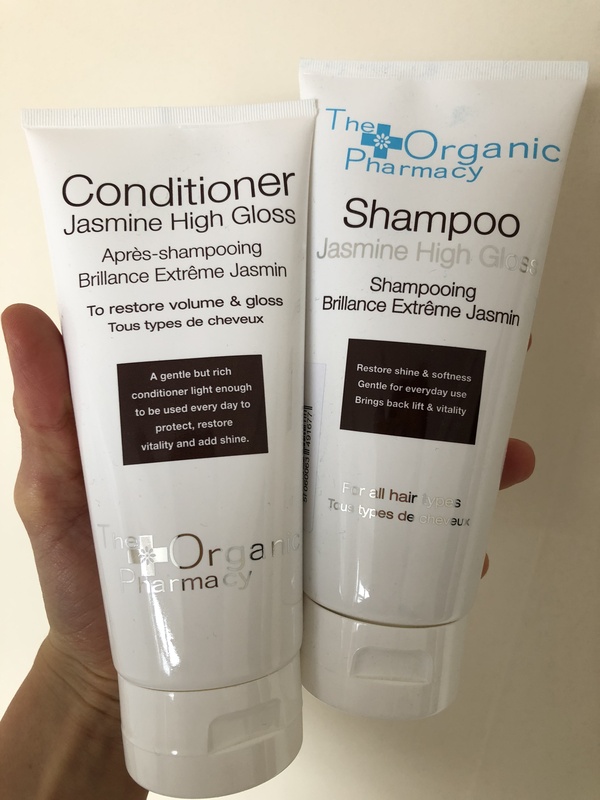 Ever since I am living in London, my scalp has changed to a bit more sensitive and irritated, as the water over here is hard and that effect the scalp. I prefer a gentle hair care, that’s why I do like Natuliques products, as they are gentle to the scalp, but also cleansing. Rahua I do like a lot too, especially because they leave the hair super shiny and glamourous. Marrocconoil products never dissapoint either. Have you ever used one of these products? What was your experience? 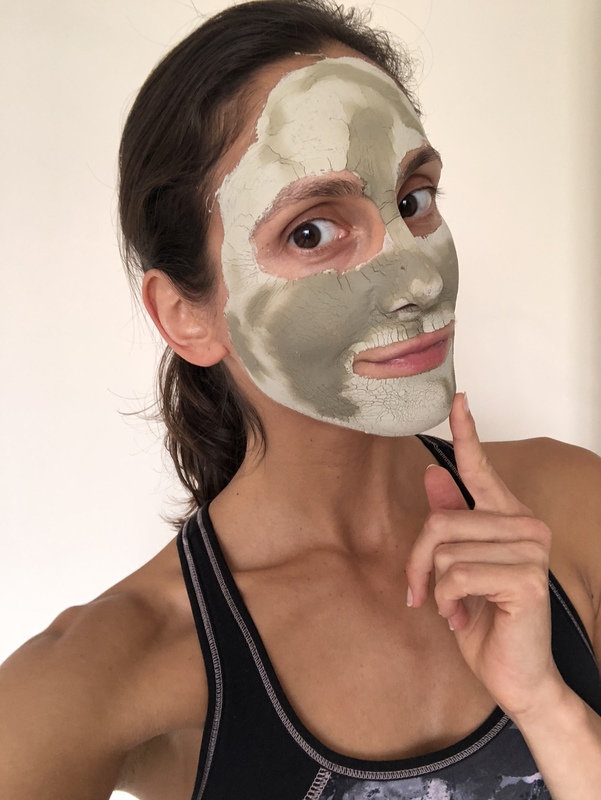 In this blog post I am introducing you to a few certified organic facial masks I have been testing for a few months. Enjoy reading my review.. 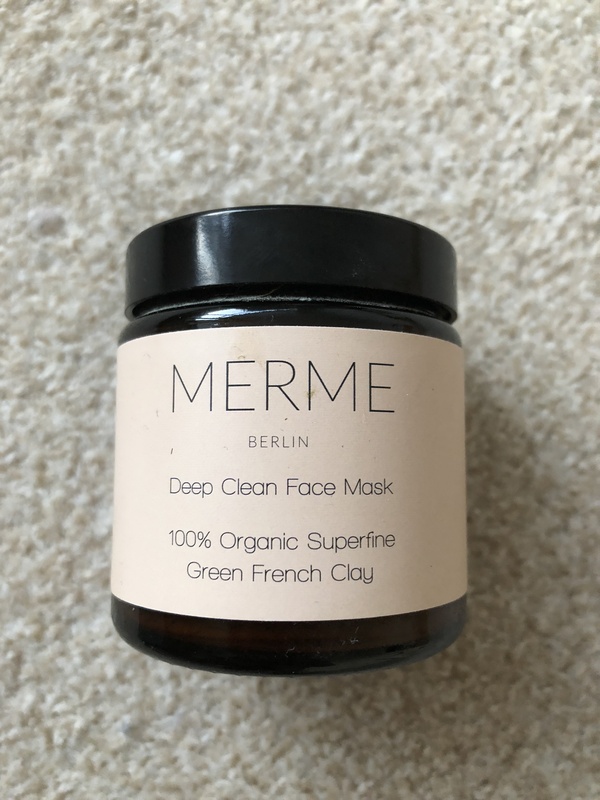 This mask is made of 100 % superfine green french clay. You just need to add a bit of water to the powder, mix it and apply it to your face. Once the mask starts to dry you can wash it off. The mask has no specific scent to it. Your face will feel nourished, soft and purified. This product has following certifications: COSMOS, ECO Certified, Vegan. You can apply this Dead Sea mud mask either on face, body or hair, leave it to dry for 10-15 minutes and remove with warm water. It has a really cooling effect once it is applied on your face. 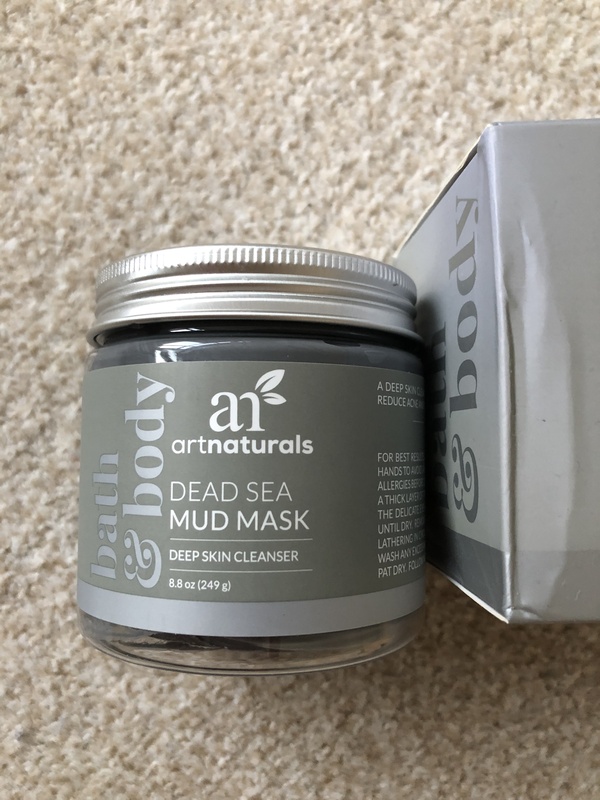 This mask includes Dead Sea mud with kaolin clay and helps cleansing and revitalising the skin. Your skin will feel smooth and hydrated. 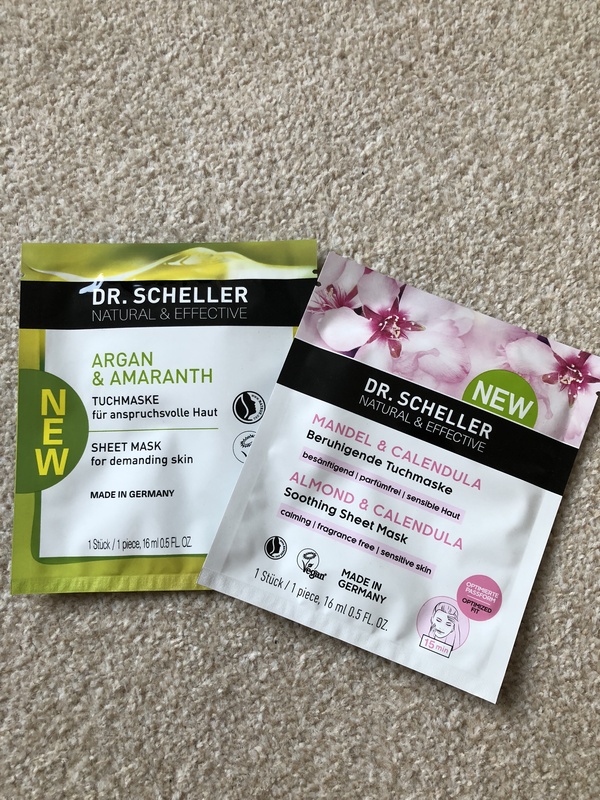 These sheet face masks are very easy to apply on the face and also to remove from the face. They are beautifully scented and contain nourishing oils. These sheets are 100 % vegan and certified to be organic by NATRUE. Once you take the masks off your skin, you will see the difference. Your skin will be shiny and looking much brighter.